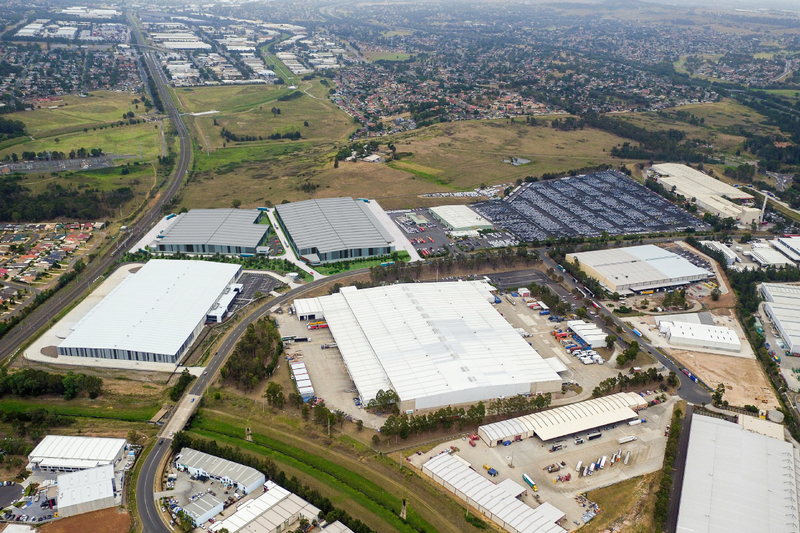 Stage two of Stockland’s $150 million Ingleburn Logistics Park is now underway following the completion of a 29,050sq m warehouse on the site. The first stage of the 28-hectare logistics site included the warehouse and office facility, and has been fully-leased to Next Logistics and TIFS, creating over 170 jobs for the region. Located in Sydney’s South West corridor, the Ingleburn Logistics Park is approximately 44 kilometres from the Sydney CBD and offers immediate access to key motorways. Stockland purchased the Ingleburn site in 2014 for $72.5 million in an off-market deal. General manager of industrial Tony D’Addona said at the time that the site would benefit from future infrastructure development including the Moorebank Intermodal Terminal and Badgery’s Creek Airport. The second stage will comprise two new warehouse buildings across seven hectares with a total floor space of 36,850sq m. The state-of-the-art buildings will offer flexible design for new tenants and be able to be customised to suit operational requirements. Stockland have flagged a mid-year completion date and are planning to complete a third stage of development across 15.5 hectares of land by 2024. The third tract of land is currently leased to Autocare Services. The company has been active in developing western Sydney’s warehouse and logistics market, speculatively developing over 29,000sq m of industrial space with plans to construct a further 77,187 over the next year. Taylor Constructions has been appointed for the $150 million redevelopment of the Ingleburn facility.